Produced in collaboration with CCL Wetrooms – UK’s leading wetroom supplier offering an unrivalled range of innovative products designed to create stylish contemporary wetrooms. Hotel rooms are a natural extension of the brand, and the bathroom is no exception. They can either make or break your guest’s stay. 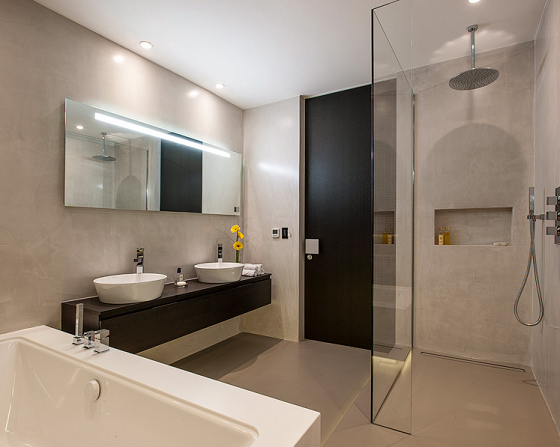 It is critical therefore to have bathrooms are stylish and breath-taking to your guests. The clean elegance of a wetroom is ideal for a stylish, modern hotel brand. Today a bathroom is so much more than a functional space. The bathroom in a hotel has become a living space and a haven of well-being and is one of the main things that guests remember. Exciting, functional designs and high-quality, light materials that are easy to clean help to make the bathroom into a very individual haven of well-being. But cost-effective yet stylish does not have to be a contradiction in terms. There are a variety of ways, from design to cleaning to management, that you can make your hotel bathroom cost effective without compromising on the experience. Save energy by setting an upper limit of hot water. The average length of a shower is eight minutes, but in a hotel environment, people tend to linger. During that time, your shower is using around 60-70 litres of hot water. By maintaining control of the temperature and ensuring flow rates are consistent, you can keep firm control of your bathroom energy costs. Fewer parts mean fewer things that can break. Stick to having only the appliances and features the guests need and make sure they are reliable and of high quality. Extraneous bells and whistles are invariably worth more than their upkeep. When your housekeeping staff are responsible for the fast and efficient cleaning of hundreds of rooms, making your bathroom easy to clean can save thousands on worker hours. 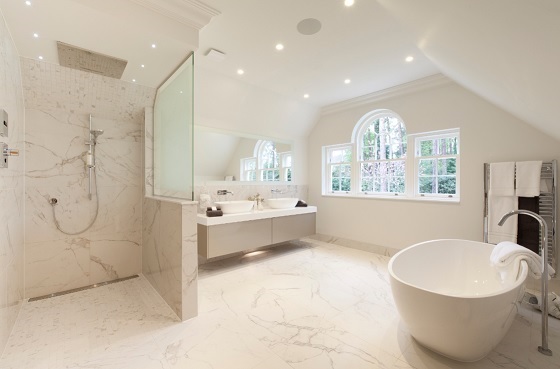 For example, choosing a minimalist, open plan design or a wetroom, you can reduce the time it takes to clean the bathroom by a third. Multiply that over hundreds of rooms 7 days a week and you’re looking at a serious time saving. A wetroom-style bathroom can address a number of these solutions. 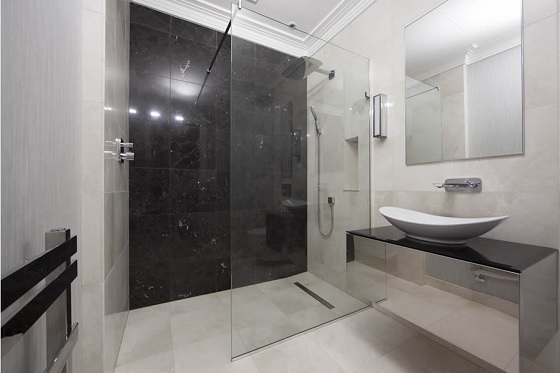 Modern, minimalist and easy to clean, wetrooms can be fitted with a variety of tiles and materials, including stone, marble, glass or steel. 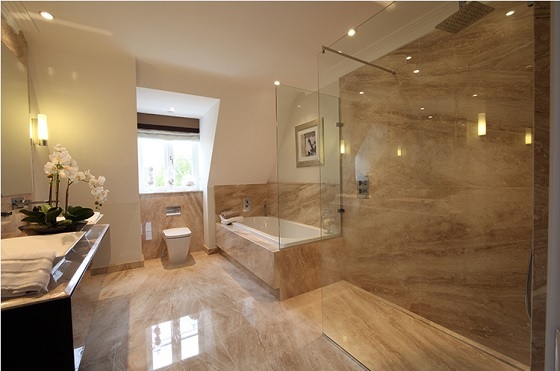 So whatever effect you’re looking to achieve in your hotel room interior, a wetroom can easily blend into your style. They are easy to clean and when installed by professionals, you can rely on the waterproofing for over 20 years. For hotels looking to combine style with cost savings, wetrooms are certainly a valid option when it comes to bathroom design.